As most of my readers know, I got married last year. Aside from making a giant commitment to the love of my life, I also learned how to speak bride language. The lists. The planning. The overwhelm. And then there’s the honeymoon, which can feel like a lot of pressure (that’s why I advocate for traveling together at least once before the big day). Like I said about my Flytographer photo shoot in Barcelona, I’m a big believer in souvenirs that spark memories of important moments. Photos and videos are the most bespoke travel keepsakes. What’s more custom than your real life moments, frozen to revisit again and again over the years? If you only use Flytographer once, let it be your for your honeymoon. Yes, you’ve just spent thousands on wedding portraits -- but vacation photoshoots are so much different! Some trips are too important for selfies. 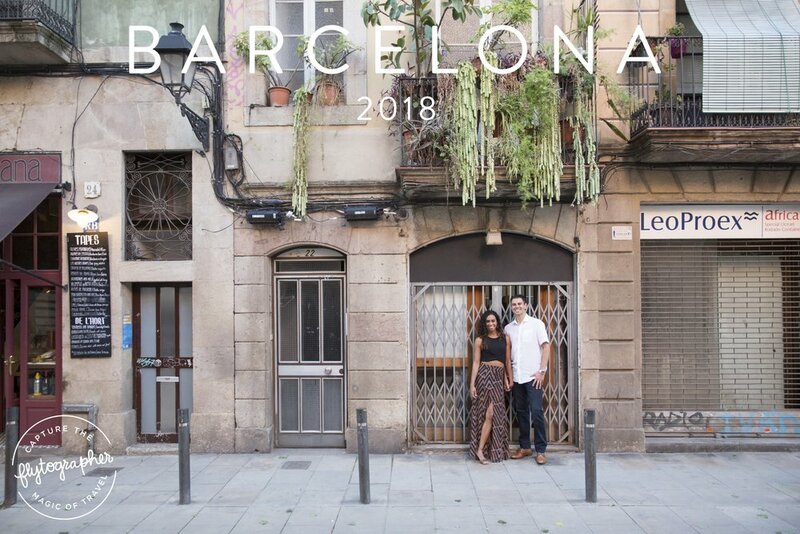 Flytographer has professional photographers stationed in 200 destinations across the globe, so chances are high you’ll be near someone ready and experienced in taking those honeymoon snapshots to the next level. If you haven’t had your first Michelin-starred restaurant experience yet, your honeymoon is the time. Or maybe you prefer a cooking class with an award-winning chef at your destination. Or you’re big on grand gestures and want the entire patio booked for yourselves? A honeymoon is the perfect time to plan a ridiculously romantic private dinner. From custom menus to reserved intimate tables to private chefs, making foodie dreams come true is one of my favorite ways to elevate a trip. Whenever possible, I recommend booking an individual chauffeur and car for your vacation. Having a local guide take you from place to place is about more than convenience. You’ll also get to know someone who can take your preferences into consideration when choosing routes or giving recommendations. I’ve had several travelers return with praise for their drivers and the peace of mind they had from knowing someone familiar with the area had their best interests in mind. Not all trips require a driver, of course (private island goers, you can sit out on this one!). But if your itinerary involves traipsing around town or traveling between locations, I can’t recommend a private driver enough. The most romantic honeymoons are the ones tailored to you. Matching couples with destinations, accommodations, and experiences perfectly suited to their interests and dreams is one of my favorite parts of my job. Maybe you want a personalized menu crafted with your own tastes or memories in mind. Maybe you’d like a grand fireworks display as dessert is served. Maybe a serenade or delivery. Or an after-dinner private yacht expedition. My suggestion? If you have an idea, ask! The worst you’ll hear is “no.” But special requests are usually possible with a little extra time and money. These personal touches mark the beginning of your marriage, and I love helping turn your dreams into memories.